T/Sgt. 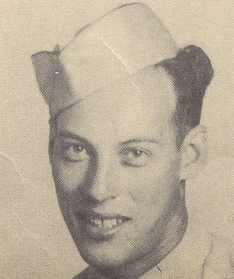 Joseph D. B. Cardwell, son of Mr. and Mrs. Joe ardwell, graduated from Frederick High School; husband of the former Pearl Newman. Entered the Air Corps in April, 1942, trained in Las Vegas, Nev., Salt Lake City, Utah, Boise, Idaho, Rapid City, S. D.; served in S. America, Africa, Italy; was discharged in July 1945. Awarded Air Medal with nine Oak Leaf Clusters, ETO Ribbon with four Battle Stars.